This sagittal (from the side) T1 weighted MR image with contrast shows a mass in the cerebellum on viewers left with peripheral rim enhancement. 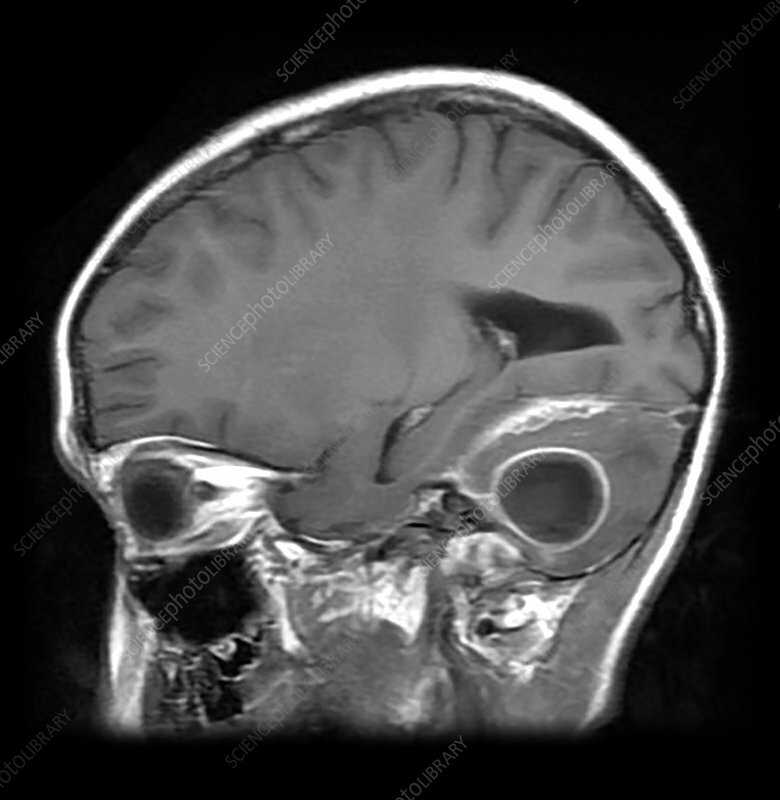 This reflects a brain abscess secondary to underlying mastoiditis. There is also evidence of a subdural empyema.